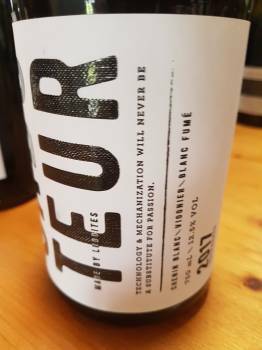 There are more polished white blends out there but there are few as compelling as the Saboteur White from Niels Verburg of Luddite in Bot River. The current-release is a blend of 77% Chenin Blanc, 14% Viognier and 9% Sauvignon Blanc, the first two components skin fermented for up to 18 days and the latter barrel fermented and matured to “get rid of as much varietal character as possible”. The nose shows some reductive pong which plays off against some floral perfume before green, white and yellow fruit. The palate, meanwhile, is juicy and fresh on entry before a long and savoury finish. Lo-fi in the best sense. Recommended retail price: R175 a bottle. Previous article“Smells like burnt matches” – how much reductions is a good thing on Chardonnay?